We’re delight to announce the release of a brand new application within the Deskpro helpdesk. The Helpdesk Data Importer allows you to effortlessly import data from other sources into Deskpro. At the moment, these sources include Kayako and Zendesk, but we plan on expanding these to include other popular helpdesks and ticketing systems. Previously, importing data from other helpdesk sources would involve a lengthy process - including extra software, manually editing config files, and use of command prompt. Now, the importer app exists within Deskpro itself, and can be accessed under Admin > Apps > Importer. What does the app import? It’s a simple process that takes somewhere between five and twenty minutes, depending on how much data you need to migrate. If you are importing a massive amount of data, it could take longer. Absolutely. Deskpro operates using bank-level security practices, and we ensure that all of our processes are aligned to the highest standards. We don’t alter your data. 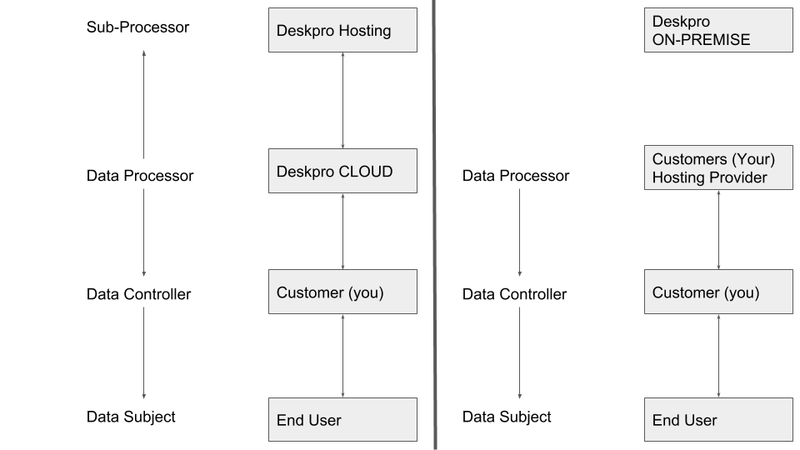 Once you’ve migrated to Deskpro, you can do whatever you like with your data in your other helpdesk. How does the new importer work? Firstly, you can find the importer within Admin > Apps > Importer. Now, you simply have to choose the source of data you want to import data from. Input the relevant helpdesk account details. For different data sources, you will need to provide different credentials. 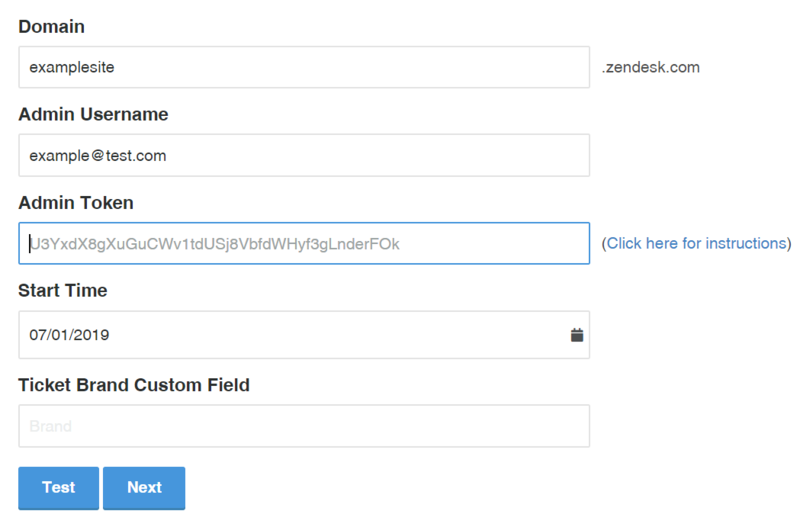 For example, if you are using the Zendesk importer - you will need to provide an admin token. Once you have entered and validated your credentials, you can start the import process. And it’s really as simple as that! We look forward to receiving your feedback about the new helpdesk data importer, and wish you all the best in the meantime. Automatically and evenly distribute live chats to agents based upon criteria that you determine. Find out more about Chat Round Robin here. Dates associated with downloadable resources are now based upon the latest upload of that resource, rather than the date of the original post. Chat Round Robin is a new Deskpro feature. It allows you to automatically and evenly distribute live chats to agents. The Chat Round Robin works a lot like the Ticket Round Robin feature within Deskpro, that you may already be familiar with - just with live chats instead of tickets. When live chats are initiated by users, the Chat Round Robins you have configured and enabled determine which agent will be assigned to that chat. This means agents who are using live chat in Deskpro are automatically assigned chats in a manner that’s efficient, easy, fair - and ultimately removes all the administrative hassle associated with manual chat distribution. How do Chat Round Robins work? Chat Round Robins can be configured from the Admin Interface under Admin > Chat > Round Robin. Chat Round Robins have several options for configuration, and you can enable multiple Round Robins to work with each other at the same time. The ‘Round Robin’ routing type means chats will be assigned to each selected agent in that Round Robin, in consecutive order, one after another. The ‘Least utilized Round Robin’ routing type means chats will be assigned to each selected agent in that Round Robin - based upon their total activity time handling chats since they’ve been logged in. This means the agent who has spent the least time handling chats is the first to be automatically assigned any new, incoming chat. You can also determine the agents that are included in each Round Robin. These can be determined individually, or agents can be bulk added by team, department or permission group. Finally, Round Robins can be set to be applied as default across all live chats, or applied only to specific chat departments. This means you can set up a ‘universal’ Round Robin for all live chats, with any department-specific Round Robins that are enabled overriding the rules of the ‘universal’ Round Robin. How can I start using Chat Round Robin? We’d like to thank our customers for using Deskpro like support superheroes, and helping us improve the software we take great pride in developing. We look forward to receiving your feedback about the new Follow Up feature, and wish you all the best in the meantime. Follow Ups is a brand new Deskpro feature. It allows you to automatically run specific actions on individual tickets after a defined period of time has elapsed, or on a specific date. Wait, isn’t that what Escalations in Deskpro are for? Not quite. Escalations are used to run actions on any ticket that has spent a defined period of time in a certain state - usually defined by an admin. On the other hand, Follow Ups are set within individual tickets to run actions on only that ticket after a defined period of time, or on a specific date - and can be defined by agents. Escalations can be useful in ensuring that any ticket where the user has been waiting a while for an agent reply is universally and automatically actioned. This creates an environment where all tickets are dealt with promptly, and nothing falls through the cracks. Follow Ups, however, can be useful in ensuring individual tickets are automatically actioned for reasons specific to that particular scenario. This enables agents to create intelligent and highly-valuable automations for almost any helpdesk situation - right from a ticket. How do Follow Ups work? Agents can select the ‘Follow Up’ tab in the ticket pane in order to configure a Follow Up. Here they will be able to set the the specific Follow Up action that will run, the date or elapsed time when the Follow Up action will run, and also define criteria for cancelling the Follow Up. When defining an elapsed time for the Follow Up actions to run, agents can select any number of days, weeks or months after the Follow Up has been set. Alternatively, they can also define a specific date and time. Agents will be able to view and manage their active Follow Ups from the Agent Interface. This will reveal the status of each Follow Up; whether they have been completed, pending or cancelled - with the option to cancel pending Follow Ups. In what situations would Follow Ups be useful? When using Deskpro to manage sales, it’s now possible to schedule Follow Ups after interactions with potential customers that prompt timely action crucial to a successful sale. For example, if a support agent has set up a potential customer with a demo version of your product, they can easily configure a Follow Up to set ticket department to sales, and ticket status to awaiting agent - as soon as the 14 day demo trial is nearing to an end. Let’s imagine you have just sold one of your products or services to a new customer using Deskpro. Follow Ups allow agents to send automatic replies to that customer inquiring how their experience with their purchase is going after a month of use - allowing you to be proactive in addressing any barriers they may have to success. Follow Ups are incredibly valuable when maintaining adherence to specific and stringent workflows like ITIL. For example, when provisioning a new project or purchase with a customer, agents can use the Follow Up feature to automate a set of powerful macro actions that notify and communicate with several departments or third-parties crucial to the tick-box process. Never forget to complete another internal task again. Set personal, individual or team wide reminders that prompt agents into action - whether it’s renewing an annual software license, or simply taking the team’s coffee order. How can I start using Follow Ups? Simply enable the Follow Up feature from your Deskpro Admin Interface, and anyone using your helpdesk will be able to start using it immediately. Create your own library of instructive user manuals for your users using our latest feature; Deskpro Guides. Build Guides to supplement your knowledgebase articles on your Deskpro user portal. Read more about Guides here. We’re delighted to announce the beta release of our brand new product feature, Deskpro Guides. 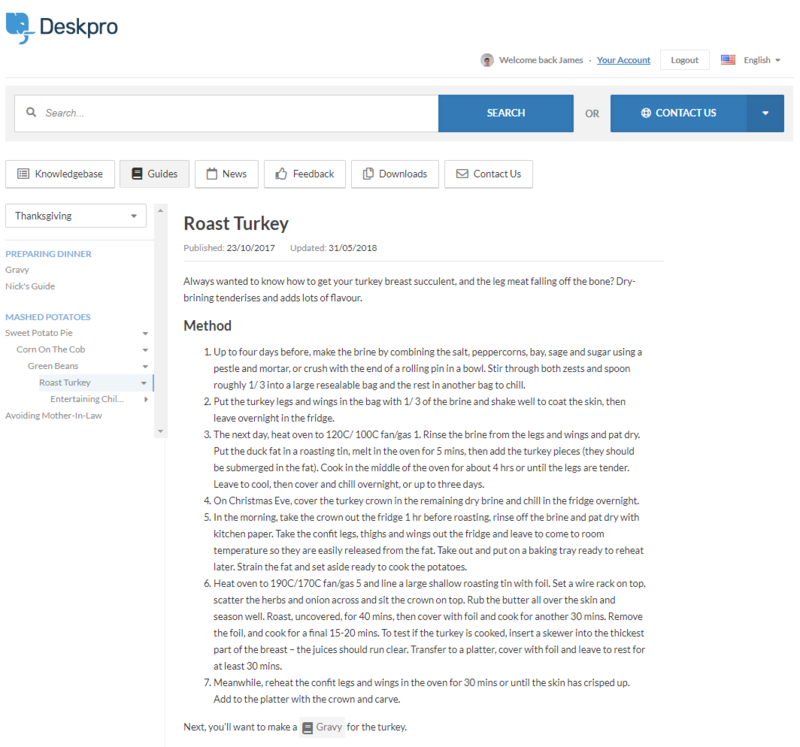 Deskpro Guides is a feature that allows you to create your own indexed library of instructive user manuals, built right into the Deskpro user portal. It allows you to provide users with convenient and highly-useful information about your product and services from your Deskpro user portal. This means the volume of incoming tickets are reduced, and customer satisfaction increases due to the depth of self-service options. When your customers receive self-service support, agents are able to focus on resolving more complex and tricky customer issues. Guides is one of the easiest and cheapest ways to keep customers serviced and informed. It’s the optimal tool in handling high-volume, simple queries regarding your products and services. It’s available 24/7, and turns your ordinary users into fully-engaged power users. How does Guides differ from Knowledgebase? Knowledgebase is a catalogue of support-related articles on anything from troubleshooting to FAQs - and any other nitty gritty questions your customers want answered. It’s designed to be populated by multiple contributors, frequently added to, and navigated using search terms. On the other hand, Guides is a clearly indexed library of instructive user manuals that provides users with prescriptive information on how to use your product or services. It’s designed to host more formalized and highly-authored content, which can be changed over time, and is navigated using indices. Essentially, users look to Knowledgebase for answers to specific questions, and Guides for comprehensive information on particular categories. How do I use Deskpro Guides? Guides can be managed by Deskpro from the Publish section of the helpdesk agent interface. Here you can add new guides documents, or edit existing ones. Authoring and editing of guide content is done using a rich and easy-to-use markdown publishing tool. Markdown formatting means there is visual consistency across all guides, and requires no code to use effectively. As well as creating and editing content, you can also organize and arrange how guides appear to users. Within each guide, It’s possible to create nested topics in which content subtopics appear, allowing for easier user navigation. The permissions of individual guides can be edited from the agent interface, allowing you to select whether guides are visible to everyone, registered users, VIPs, specific user groups, or your own agents. Once guides are published, they appear in the new ‘Guides’ section of the user portal, right next to Knowledgebase. Visitors to your user portal will then be able to effortlessly browse and read guides you have published; given they meet the correct permission criteria. For more information on using Deskpro Guides, keep an eye on the Guides section of the Deskpro user portal. We’ll be uploading comprehensive manuals on using Deskpro Guides soon. We look forward to receiving your feedback about Deskpro Guides, and wish you all the best in the meantime. To download the latest version of Deskpro for Android, visit the Google Play Store. We’ve worked on developing significant improvements to the app, so existing Deskpro users on iOS mobile devices can effortlessly and simply manage customer relationships on-the-go. You can find more information on the features and capabilities of our iOS app here. To download the Deskpro app on an iOS mobile device, visit the iTunes store. We hope you enjoy using the app, and look forward to receiving your feedback about how we can better help you manage your customer interactions. We’re delighted to announce the release of the brand new Deskpro app for Android. If you’ve already installed the old Deskpro app, make sure you download and install the totally new one available now from the Google Play Store. We’ve worked on developing a new app, so existing Deskpro users on Android mobile devices can effortlessly and simply manage customer relationships on-the-go. To download the Deskpro app on an Android mobile device, visit the Google Play Store. Oh, and if you need any help getting started - we’ve got a quick and easy guide for Deskpro mobile users right here. Deskpro 5.10.1 includes the bug fix listed below. Permissions causing internal server errors to appear to agents when using the interface and CRM. Deskpro 5.10 includes the feature updates, bug fixes and improvements listed below. Fixes to nested fields in feedback section, can now properly select child/parent fields. This new product feature gives agents the ability to set escalations events based on how long a ticket has been in an ‘on hold’ state. Agents can define the required period of time elapsed for the escalation to trigger a specified action. Whether you require prompting to follow up with a user after an elapsed period of time, or simply want to increase the urgency of a ticket that’s been on hold too long, this new feature allows you to use all standard escalation actions. We’d also like to thank everyone who submitted feedback regarding this feature; we hope you find it useful. We’re delighted to announce the release of Deskpro 5.9.0. Deskpro 5.9.0 includes the bug fixes and improvements listed below. We are delighted to announce the release of a new version of DeskPRO which has a number of Bug Fixes and Improvements. [Admin] You can now use templates (variables, conditions, etc) in triggers and escalations to set values on custom fields. Deskpro as a helpdesk removes the need to mess around with confusing shared email inboxes, or endless email chains, and consolidate your support and contact with your users in a controlled interface. NOTE: This is a BETA feature, which can be enabled in one-click from your administrator dashboard! We understand there are situations where a ticket may need to branch back into an email, when working with third parties, or departments which do not use the helpdesk system. We have listened to feedback from our clients, and implemented a feature to seamlessly forward out an entire ticket, or a historical email chain from a ticket. A common situation is when the ticket needs the attention of a person or department outside of Deskpro. Here we have a ticket requiring the attention of an external finance team. Previously, you would have had to copy and paste histories over, or export the full ticket as a PDF which was not ideal. You can now either forward the entire history using the tab next to the reply/note selection, or select the “Forward ticket from here” in any response, which will forward the ticket history from the response to the beginning of the ticket, and omit the most recent responses. In this example, I have forwarded the entire ticket history to the finance team, accountant, and have blind carbon copied (BCC) in a third party. I see a full preview of the email to be sent. You may notice that internal notes are omitted from the forwarded email, the purpose of this is to forward correspondence history, so only user/agent replies are included. The agent is also able to select the email this comes from, it can be their personal email in the helpdesk, or the helpdesk/departments email address, this is good for determining where you want responses to go, back into the helpdesk, or into the agents personal mailbox. The email which is then produced is very similar to a forward chain in traditional email, so the recipients can look through the responses in a format that is familiar to them, and respond back without having to log in or use Deskpro! This will initially be released as a BETA feature, to enable this you will need to visit your Admin Interface > Admin Dashboard - on the bottom left of the page there will be a list of features to enable. You can enable “Improved Forwarding” to make use of this feature. At DeskPRO we are always keeping our features and interfaces up to date. I am proud to announce a brand new snippets interface, with accelerated features and a smooth new look. Snippets allow for quick response and automation in the helpdesk. These are set of canned responses, with the use of variables (such as email addresses, names, custom fields) to personalize each snippet response. NOTE: This will initially be released as a BETA feature, meaning you will need to enable this manually. You can do this through the Admin Interface > Admin Dashboard in one-click. Everything! The entire interface along with the logic and workflow behind snippets has been rewritten and improved. At first glance, we have completely overhauled the categorization system. Previously, snippets were set under a single category, customers noticed that as their collection of snippets grew, it became harder and harder to sort these snippets into categories. We have the solution to this: labelling! Instead of shutting away a snippet in one category, you can now add multiple labels to a snippet. These almost act as “keywords” to make it easier for your agents to find snippets. Globalization is a wonderful and unavoidable part of running a business! It need not scare you however. We have now made it easier than ever to communicate with your clients around the globe, with new shortcuts to insert snippets for different countries. You are able to click on the flag, and immediately insert the snippet with the associated language. Our clients were coming to us with impressive collections of snippets in the thousands, but with no easy way to search through them. In this update, we have included two layers of searching. The searchbar at the top will search through everything, great if you know which snippet you are looking for, however when things get a bit messy, you can narrow down your searching by sorting through labels. 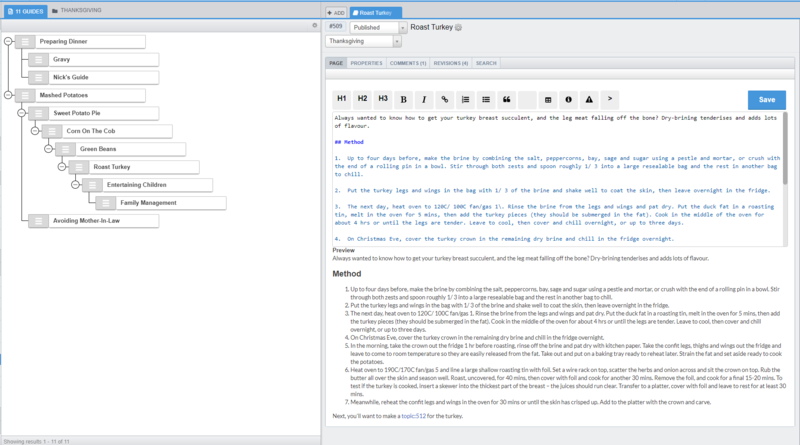 What may start a mess of a thousand canned responses, is now a sleek interface to access all your pre-written content. Open up the snippets interface, search and send a response in seconds. You can slide the interface open with the keyboard shortcut alt+s - start searching for your snippet straight away. If there are more than one result, use just the arrow keys to scroll up and down. Once you have found your snippet, hit enter to send this out. This speeds up the process dramatically, with the new interface fully integrated with the helpdesk. Have a full length, language matched response out to your client in seconds. When managing hundreds to thousands of snippets, we knew adding labels and search functions was not enough. We needed to add permissions and visibility! When you create a snippet now, there are new options to manage the permissions. You can assign this to selected departments, you can select ownership between agent teams, and select whether the snippet is for use chat or tickets. This allows full complete control over who can see a snippet, where it can be used, and which departments they can be applied to. Suddenly a collection of a thousand plus pre-written responses does not look so daunting! Snippets are great for speeding things up, but you often need to get attachments or images out to a customer. Anything from an educational powerpoint presentation, to a set of PDF documents HR needs to send out again and again. We saw customers making good use of the snippets, but their agents being slowed down having to then re-attach the same documents time and time again. No longer is this an issue, you can upload attachments directly into a snippet. Removing the need for any extra work or hesitation when responding. Stop digging, you’ve struck gold! As your helpdesk grows and your operations expand, you will need to further control your agents' permissions to use and access different features in order to keep things secure, and better manage everyone's workflows. A macro is a command to run a pre-defined set of actions on a ticket, such as respond, add a label, change department and increase urgency, all in one go. Where agents would previously have had to scroll through all their macros, you can section of certain macros to departments. For example, this macro is a part of the sales department, and would never be used outside the sales department. So why have it displayed there? You can set this up so it can only be applied to sales tickets. Tasks are pretty self-explanatory, they allow you to manage tasks/events outside of tickets, set descriptions and deadlines. Task visibility can now be restricted to an agent, a team or a department. Just like the example in the macro above, the screenshot below refers to a Sales only task - so there is no need for full visibility to all departments. You can now set this to display only to a certain department or a specific team of agents. We are delighted to announce the release of a new version of DeskPRO which has a number of Bug Fixes, Improvements and API fixes following the last Release. [Agent] New permissions for tasks and macros. Read more. [Agent] (Beta) Improved snippets. Read more. [Agent] (Beat) Improved forwarding. Read more. [General] Custom date fields couldn't set dates before 1970 (new minimum is 1901; further fixes are coming). We are delighted to announce the release a new version of DeskPRO which has a number of New Features, Bug Fixes and Improvements. We are really excited to announce that the new Trello helpdesk integration for Deskpro is available from v5.6. How do I enable the Trello integration with Deskpro? From the Admin Dashboard under Apps > Apps you can now install the much anticipated Trello App! Once installed, you will be able to log in with your Trello account and sync this with your Deskpro Helpdesk. How do I use Trello with Deskpro? The new app allows you to Search, Pick and Create cards and link them to Tickets - all in one place! You can then see Tickets within Trello cards that appear in the relevant project boards! Simply search the name or URL of the card! Simply select the card from an exsiting board or list! Simply Add a title and description and add to a list on a board! This is a very minor update to address a regression where old reports might break when not using fully-qualified names (e.g. ticket.person instead of ticket.person.name). This update also adds the ability to report on the "object_lang" table, which is used for translation data such as with snippets (for example, you could use this to count how many snippets are defined in each language). 5.5.6 is a minor update, primarily to address a regression where custom text fields might output HTML entities. Custom text fields would output HTML escaped tags (such a newlines appearing as "<br/>"). We are excited to release a new version of DeskPRO which has a number of new features, bug fixes and improvements. [iOS/API] Customers using Apache web servers might have issues using the iOS app or the API due to Authorizatin header not being passed through. [System] Fixes to legacy upgrade procedure from v4/443. A patch build (5.5.5.25136) was updated on Friday April 28 to address a problem to do with upgrading affecting some customers. The original problem was that users who had access to two or more chat departments would see the option to start a iive chat with all departments (when 'Ask for information before chat commences' is on) regardless of whether there were agents online or not e.g They could still select to chat with Support if no support agents were online which led to lost chats. We have implemented a fix for this so that department results that appear in pre-chat information, are filtered depending on which departments are still online. Therefore your users will only be able to select to chat with departments that are actually online- they will not see options for those that are offline at which point they can decide to create a ticket instead. We are excited to release a new version of DeskPRO. This release was all about squashing a number of bugs to make things run smoother for you all. On the reports dashboard, you can now choose to select which team you want to see data for so you can see key metrics and stats per helpdesk team. When a ticket has a ZIP file attached to it, you can now click on the 'View files' drop down and only download the most relevant files that you need. You can now choose between the option to use a Gregorian or Arabic calendar for custom date fields. Under Admin > Server > Server Settings there is now a checkbox to disable CSP headers. CSP is enabled by default. Under Admin > Tickets > Email Accounts you can now choose to disable certificate validation for you SMTP outgoing emails. Many email servers check DKIM/SPF headers for all incoming email. Now, you can configure Deskpro to reject email messages that have failing DKIM/SPF headers. You can enable this from Admin > Tickets > Email Accounts > Advanced Settings. The Zapier helpdesk integration with Deskpro is now available on your helpdesk (v5.4 and above). Zapier is an automation tool that connects all of your various apps together. Now Zapier works with Deskpro too! You can set up automations for events like new tickets, ticket updates, new people, and new organizations. For example, whenever a new ticket enters a certain filter, maybe you want to create a new Trello card. This also works the other way. Configure Zapier to perform Deskpro actions in response to other apps. For example, when a Wufoo form is submitted, create a ticket in Deskpro. The Deskpro Zapier integration is in beta, but is now generally available and discoverable from within the Zapier platform itself - simply search for 'Deskpro' in the app directory. We have added a setting that allows you to disable email preview text. 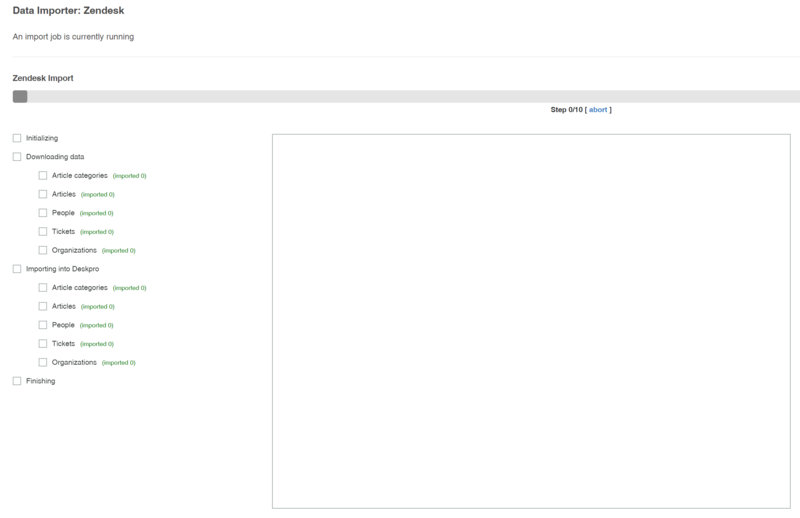 Many email clients will show you a preview of email contents (e.g Outlook and Gmail). Enable this option to enable smart preview text so your client will show proper message contents. Without this your email client might not be table to show accurate previews. Disable this feature if you don't want this information being shown via email. You can find this setting under Admin > Tickets > Email Accounts > Advanced Settings.